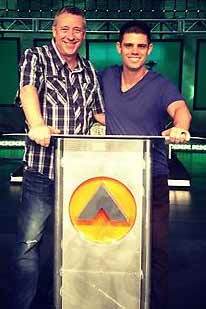 In pieces like Prophet-Leader Steven Furtick Descends Down To Word Faith Heretic Rod Parsley here at Apprising Ministries I’ve been showing you the rapid decline into quasi-Word Faith mythology by this popular Seeker Driven prophet-leader. Since then it’s accelerated at an alarming pace into what I called Furtickism in Steven Furtick Bringin’ On Word Faith And The Pastrixes. Before you’re tempted to think this is no big deal, you need to understand that Furtick is actually a very influential young evangelical. His pedigree includes Church Growth Movement gurus Bill Hybels and Rick Warren, both of whom have also placed their CGM blessings upon Steven Furtick. In addition, Furtick is also part of the new ecumenical evangelical magisterium that appears to have grown out of The Elephant Room. From this vantage point of the battlefield I’ll tell you that Rod Parsley’s August 9, 2012 Breakthrough program is called Power To Get Wealth and is chocked full of classic WF mythology. So, as you can see, Parsley’s still every bit a WF prosperity preacher a la Elephant Room 2’s T.D. Jakes. After listening to the program, ask yourself this question: How in the world could a genuine pastor sent by Christ possibly consider Rod Parsley’s ridiculous claims to be orthodox? 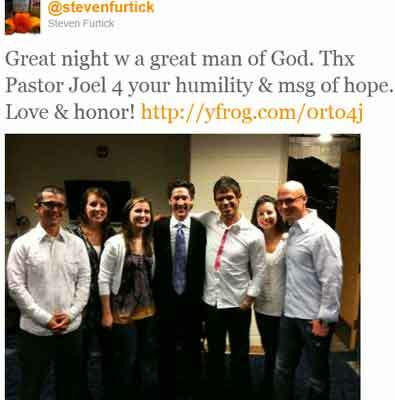 Now consider that the very popular Seeker Driven prophet-leader Steven Furtick actually does.